Burleson has a new outdoor work of art, courtesy of Colombian-American artist and TR Campus adjunct instructor Bernardo Vallarino. 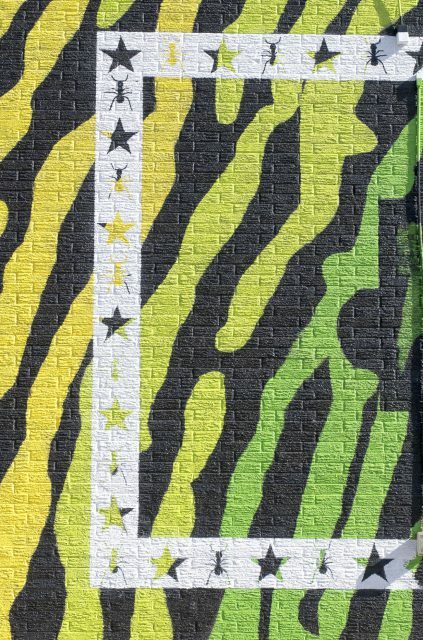 The “Kindness Matters” 133-by-15-foot mural comes with a fundraiser benefiting a local nonprofit organization, according to the project’s press release. The nonprofit will be chosen by members of the community from the nominations on the project’s Facebook page: www.facebook.com/kindnessmattersmural. 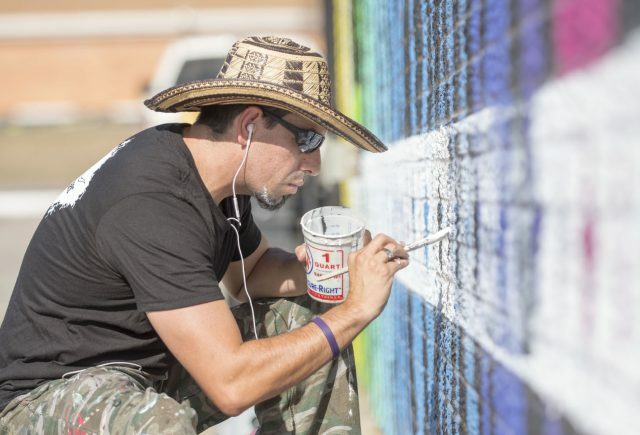 Vallarino uses a white exterior paint to complete the border on the mural he is working on outside of the Community Market in Burleson. Neighbors and friends assisted painting on the mural on selected Sundays in October through December to help achieve the 100×100 (100 donations of $100) fundraising goal. The national “Kindness Matters” campaign originated in 2013 after 13-year-old Payton A. James took his life, Vallarino said. The phrase had been used in Burleson prior to the project and can be seen throughout the city on banners and signs. 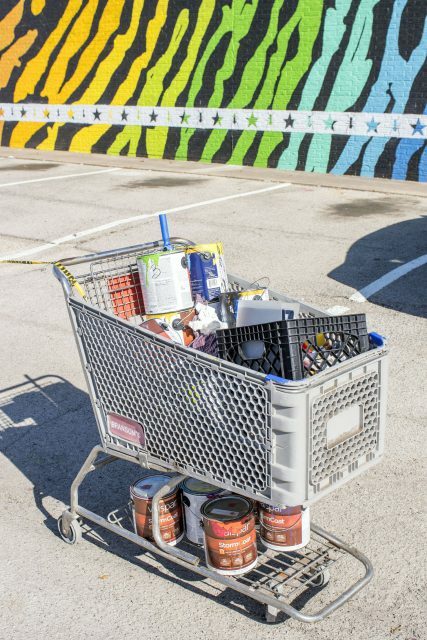 Vallarino used a shopping cart to store the paint, brushes and supplies at the market. The heart with the longhorns is meant to symbolize Texas kindness while the ants represent community, cooperation, strength and unity. The last symbol is the fingerprint of the building’s original owner, Richard Bransom, because of his kindness and philanthropy, Vallarino said. 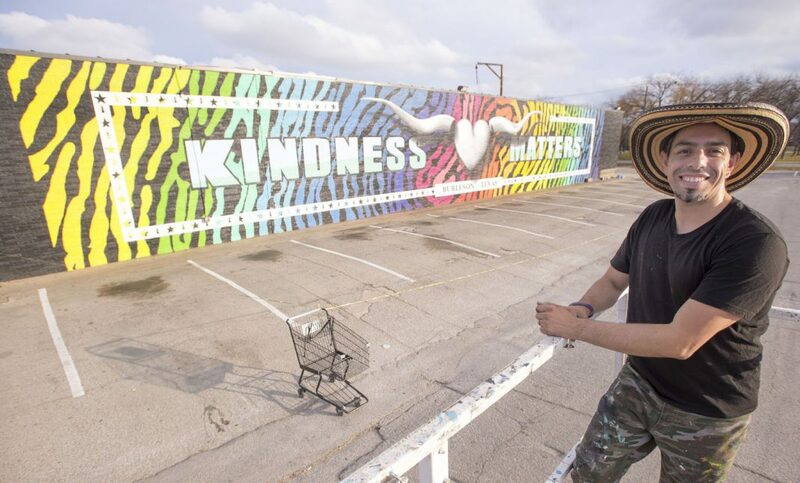 Although “Kindness Matters” is not Vallarino’s first mural, it is the first public artwork directly connected to his professional body of work. Vallarino uses ants in his artwork to represent the community, cooperation and strength needed to bring kindness. He said the stars are from the iconic Texas star. Beyond its artistic intent, the mural has become a sort of memorial for Bransom. It represents all the wonderful things he did and all the valuable things he and his family stand for, Vallarino said. 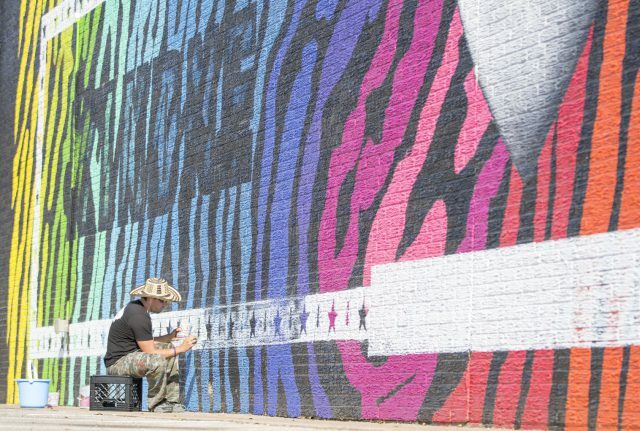 The 133-by-15-foot mural was completed by Vallarino and members of the community over several weekends between October and December. Bransom’s daughter, Camille, is Vallarino’s project partner for the mural. The mural is located on the west side of City Market at 200 E. Renfro in Burleson’s Old Town.